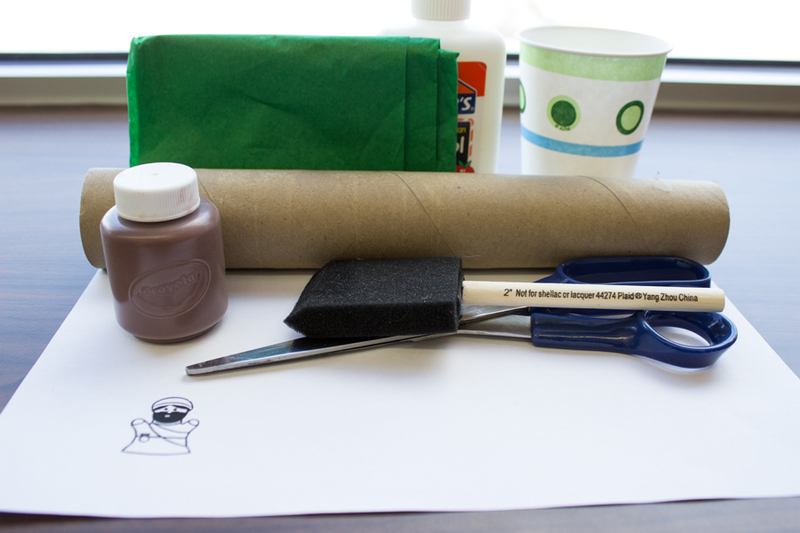 Step 1: Paint the entire outside of the paper towel roll brown. 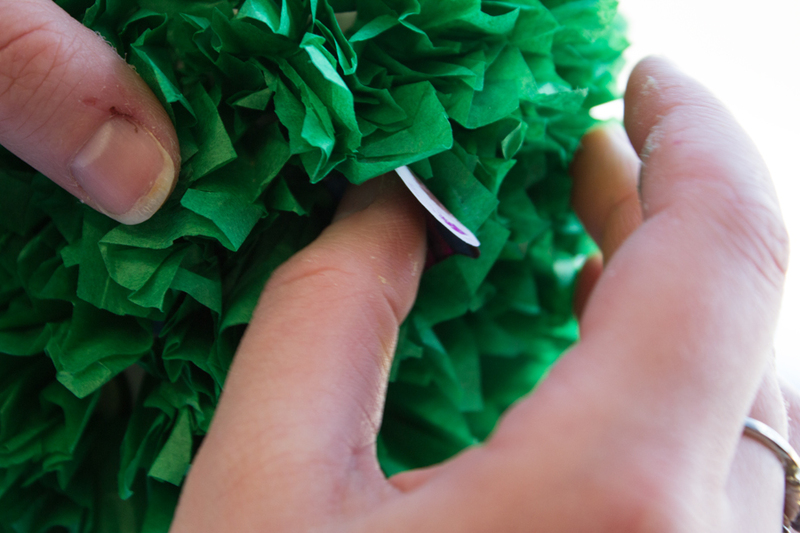 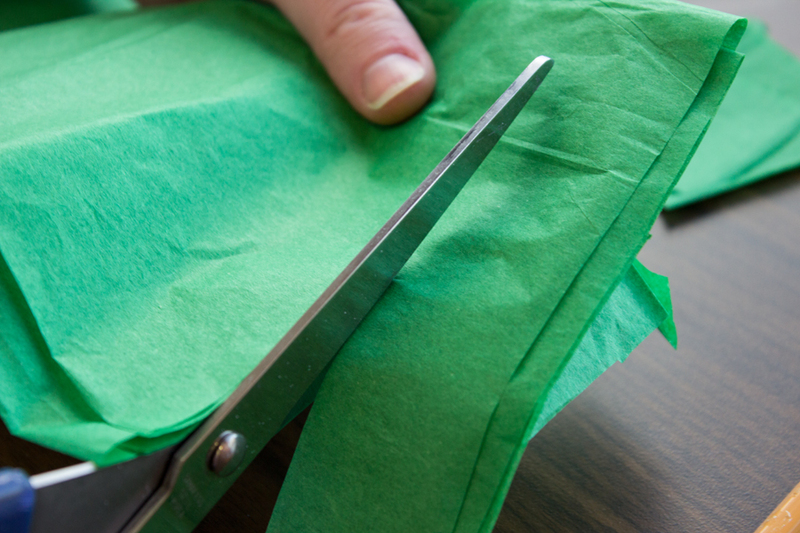 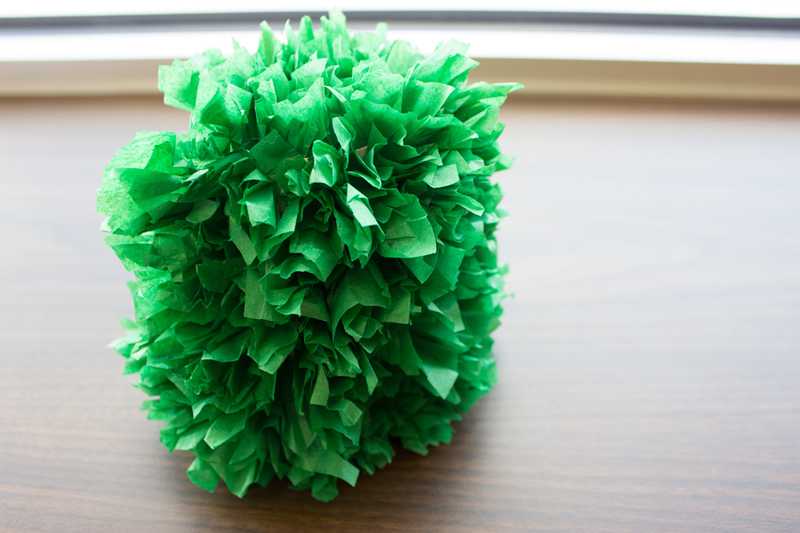 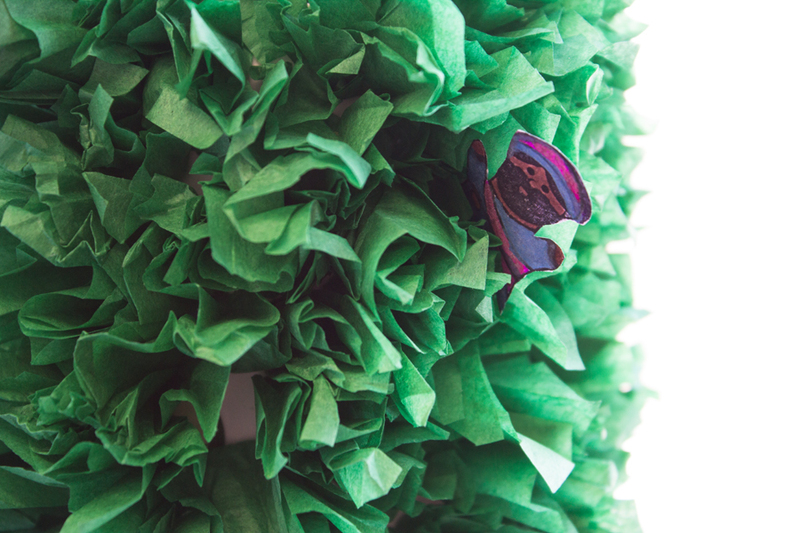 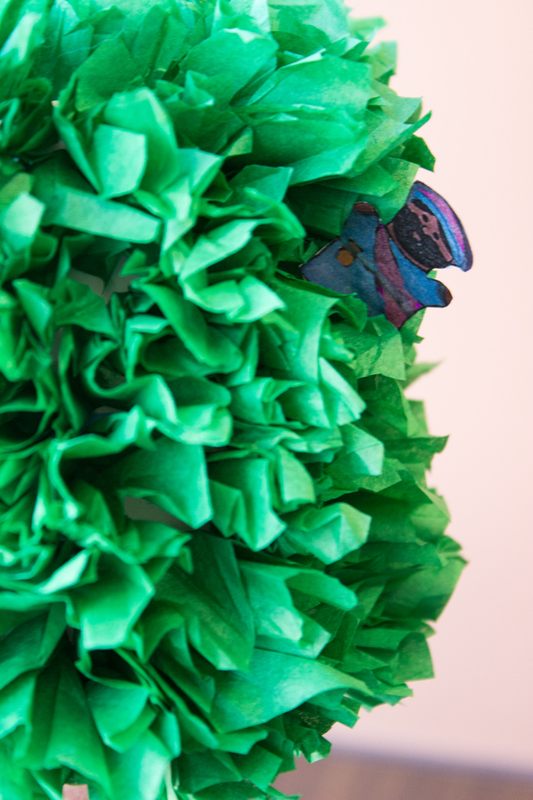 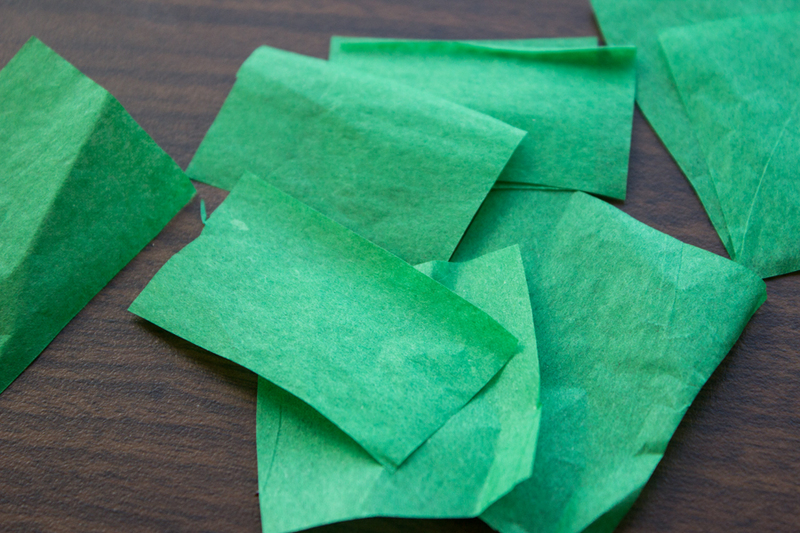 Step 2: Cut green tissue paper into approximately 1 inch by 1 inch squares. 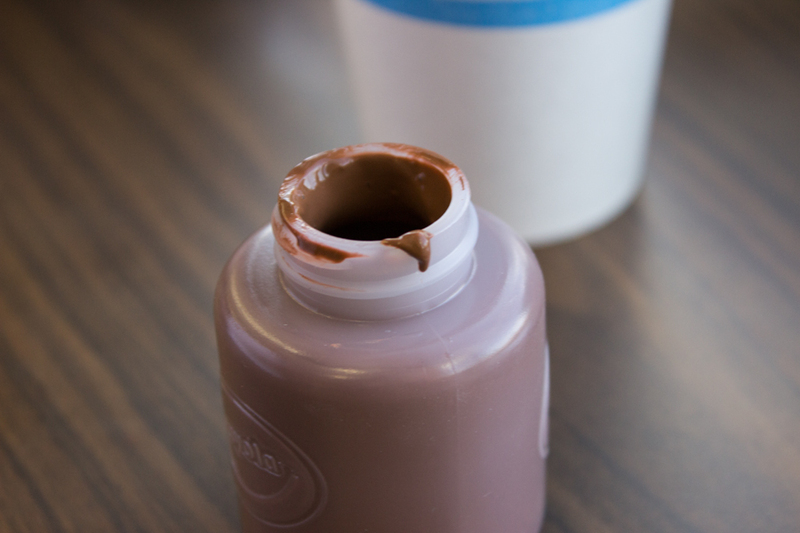 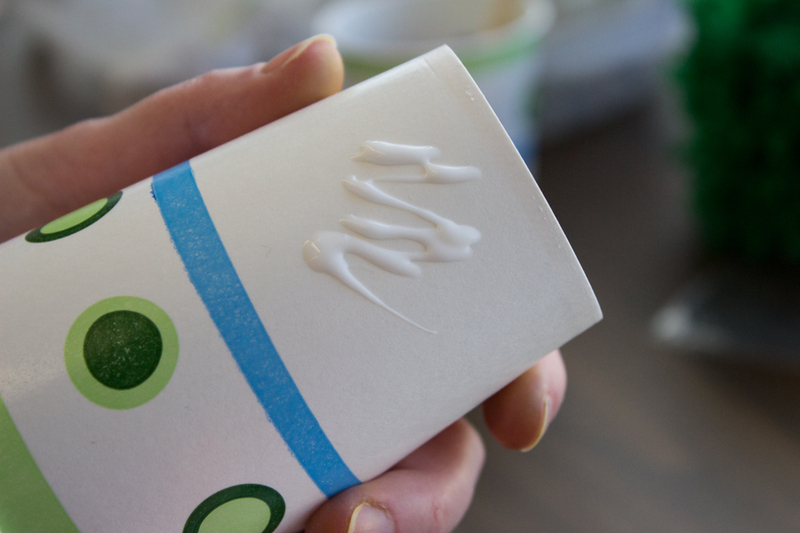 Step 3: Put a thin coat of glue onto a section of the paper cup. 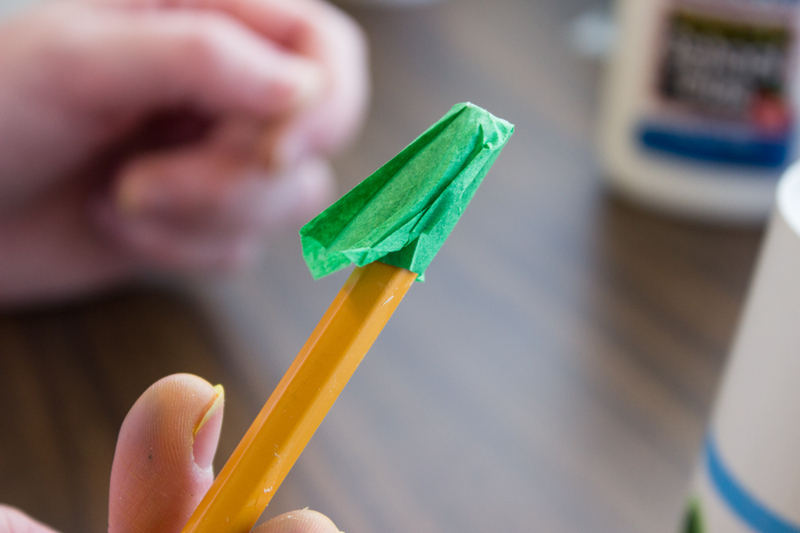 (Too much glue will cause the tissue paper to stick to the pencil instead of the cup.) 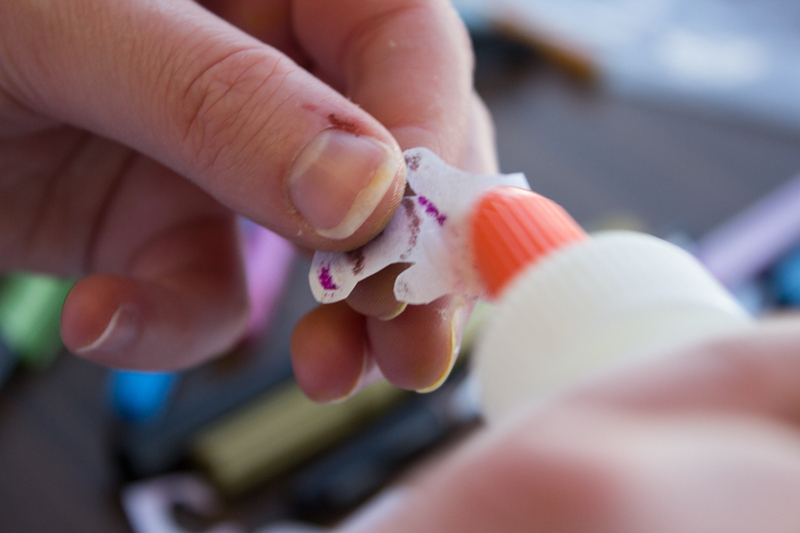 You will probably have to put glue on in small sections as you go because if you coat the cup completely at the beginning by the end the glue have dried too much. 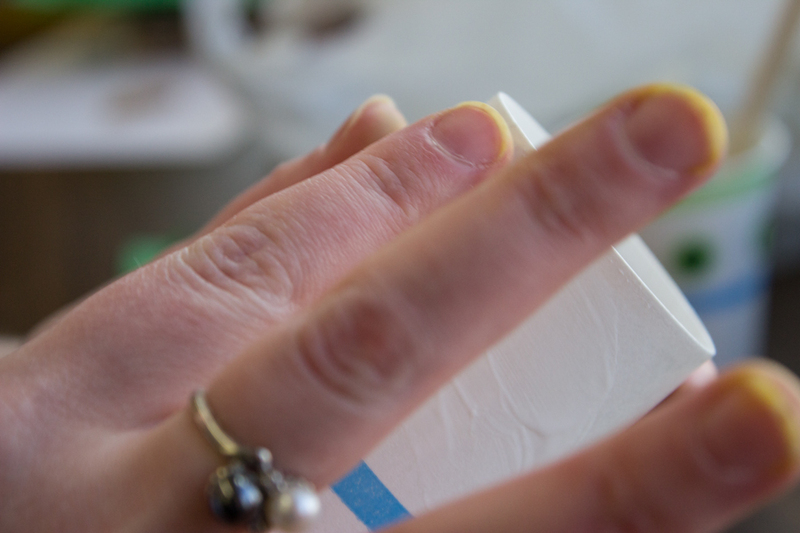 Step 4: Place the pencil eraser in the center of a square of tissue paper. 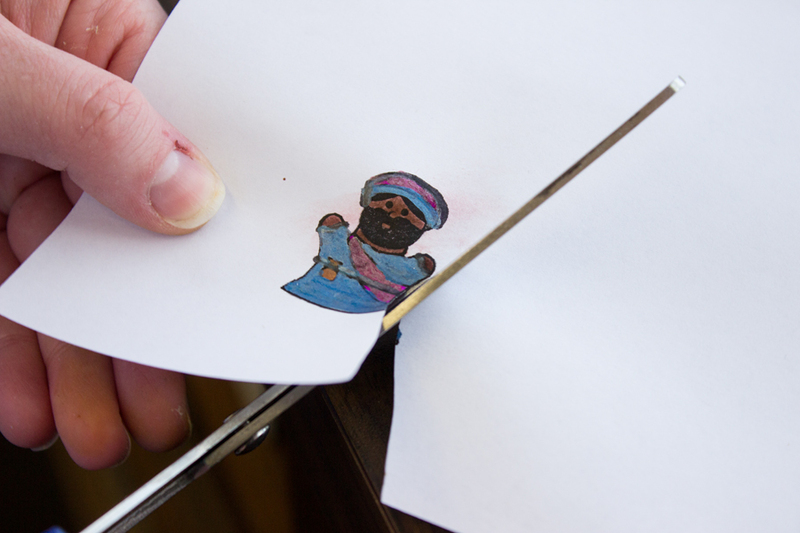 Then pull the edges of the square back so that they lay flat against the pencil. 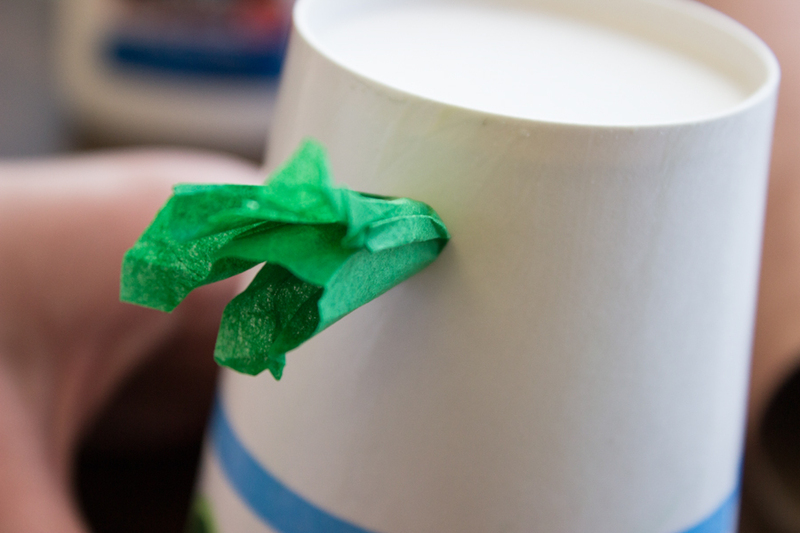 Step 5: Press the tissue paper covered eraser against the cup coated in glue. 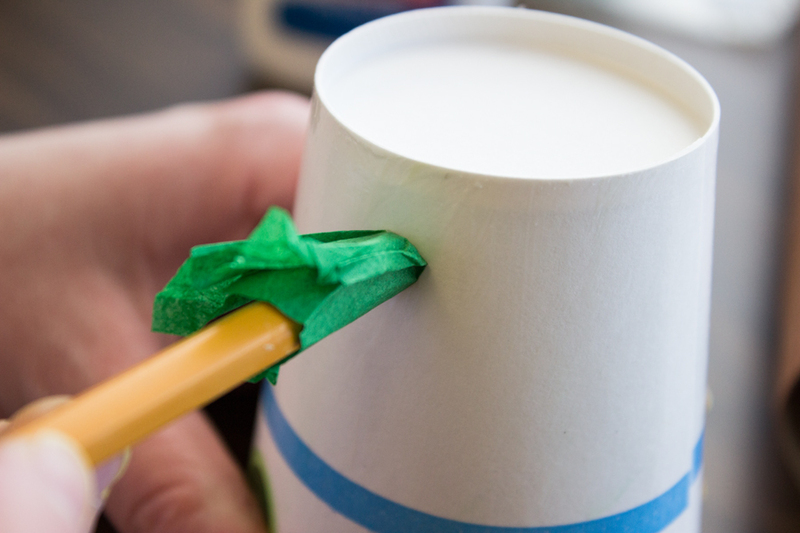 The tuft of tissue paper should stay on the cup as you pull the pencil away. 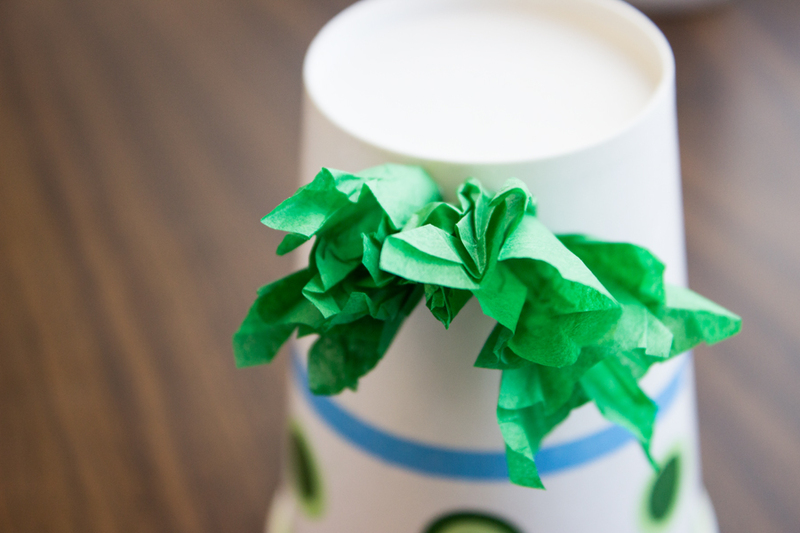 Repeat this process until all of the sides, including the bottom, of the paper cup are covered in tufts of tissue paper. 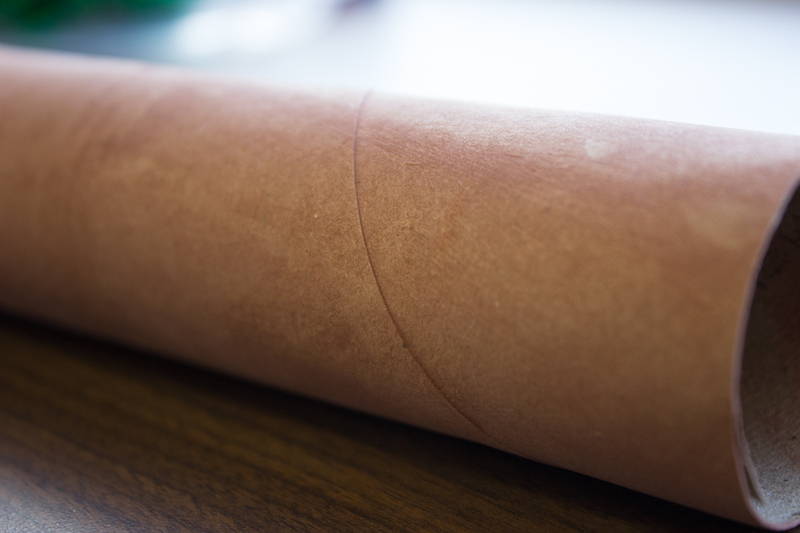 Step 6: Set the cup (open side down) on top of the paper towel tube. 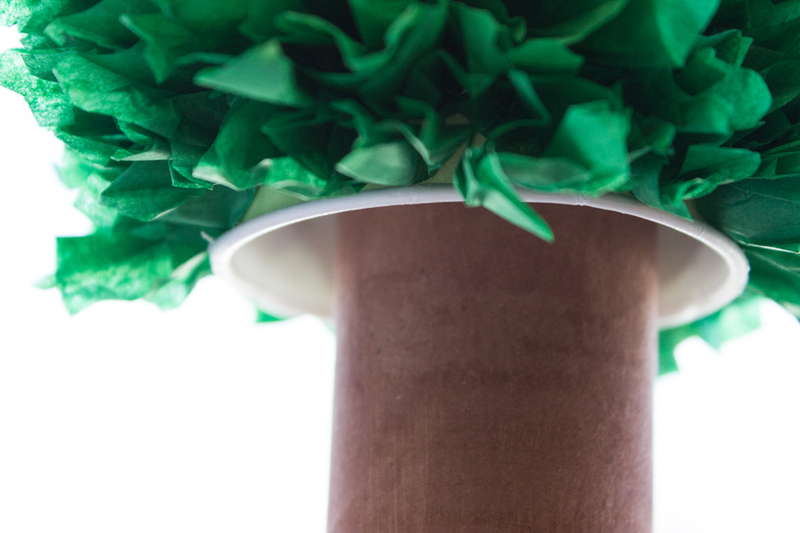 If you would like the tree to be a little more secure you can add some glue to the top edge of the paper towel roll so that it will stick to the inside of the cup.